Arvin Buss, 76, of Stewart, died Monday, Jan. 25, 2016, at his home. A memorial service is set for Sunday, Feb. 7, at 2 p.m., at St. Paul’s Lutheran Church in Stewart. The Rev. Mahlon Bekedam will officiate. A fellowship gathering will be held for one hour prior to the service, 1 p.m. to 2 p.m., also at the church. Lunch will follow in the church basement. Arvin Warren Buss was born Sept. 15, 1939, on the home place in Collins Township, McLeod County, to Arthur and Frieda (Braun) Buss. He was baptized on Sept. 24, 1939, at St. Paul’s Lutheran Church in Stewart, and confirmed there in May 1953. He grew up in Collins Township and attended school in Stewart. During his school years, he participated in sports. He was a great athlete, and was known to break and hold track records. 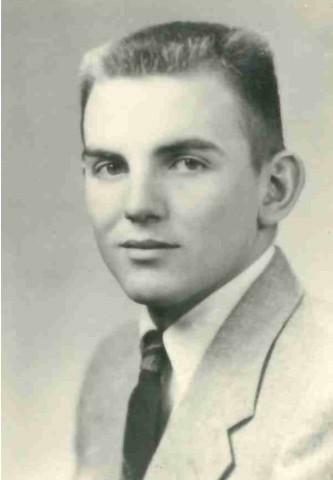 After graduation from Stewart High School on May 28, 1957, he left for basic training and served in the U.S. Army Reserves. Mr. Buss returned home to farm with his father. He eventually took over the farming and dairy operation. For a time, he also worked for the railroad. He was currently retired. Mr. Buss loved watching sports, and was an avid supporter of his nieces and nephews while they participated in their high school events. He also liked “people watching” at local establishments. He is survived by his sister-in-law, one nephew, two nieces, two great-nephews, and four great-nieces. He was preceded in death by his parents and a brother, Willis A. Buss. Memorials are preferred to Lutheran Social Services Senior Dining in Stewart, the Stewart Fire Department, Feeding Children/Food For Kidz in Stewart, and the Buffalo Lake-Hector-Stewart sports programs. Arrangements were with the Hughes-Hantge Funeral Chapel in Stewart. An online guest book is available at www.hantge.com.